Case Western Reserve's Graduate School of Business includes a very cool program called Business as an Agent of World Benefit. The Wisconsin Innovation Kitchen and our Iowa County Area Economic Development Corp. are being recommended for our work in this field. The amazing efforts of Tom and the Hodan Center's rock star food team (led by Annette Pierce, Food Service Director and Master of the Universe) created our Wisconsin Innovation Kitchen. What a wonderful feat! The following is written by a new friend Jessica Hermsen, a graduate student in Organizational Development at Case Western Reserve University as a submission to the ‘Business as an Agent for Global Change’ program. Last July, the Wisconsin Innovation Kitchen cut the ribbon on their newly renovated $1.5 million facility and opened its doors to local food entrepreneurs. The 10,000 square-foot state certified commercial kitchen and retail store was once the nation’s first fast food restaurant owned by a community rehabilitation center serving adults with disabilities, the Hodan Center. When the highway bypass went in, traffic through the small town of Mineral Point decreased and the Dairy Queen was forced to close its doors in 2007. Now, the building is getting a second life thanks to not only the Hodan Center, but also the Iowa County Area Economic Development Corporation, a non-profit organization funded by the county, industry, and private supporters. The mission of the kitchen is to provide food entrepreneurs (restaurant owners, family farm owners, etc.) a state-certified commercial kitchen to professionally prepare their recipes for commercial sale. Additionally, existing food business can grow their enterprises and create new jobs using shared infrastructure, equipment, and services. Unlike other community kitchens, Wisconsin Innovation Kitchen customers can rent the facility by the hour and do their own production, or partner with the kitchen’s leadership to provide production staff and business support. The production staff is provided by the Hodan Center, giving adults with disabilities the opportunity to do meaningful work and earn income. The kitchen is home to the already successful Papa Pat’s Farmhouse Recipes food line, 150 different bottled liquids and dry mixes sold in more than 700 stores. The Papa Pat’s Farmhouse Recipes food line was started in 2001 by the Hodan Center to raise revenue and provide more sustainable work for the center’s adults. Funding for the kitchen’s renovations was raised through private community supporters, grants, and low-interest loans. “Wisconsin is now the second largest vegetable growing state in the US but we leave at least one-third of our crop on the ground every year because it is bruised or not big enough for retail sale,” says Rick Terrien. Since processing equipment and opportunities are expensive, the kitchen allows vegetable “seconds” to be used in small quantity, affordable production runs. Not only does it bring more local foods to our tables, but also promotes economic development for the family farms and restaurant owners. What’s more is that the kitchen has a partner program to support business start-ups and expansions to take the risk out of trying a new business. And on the labor side, the kitchen’s partnership with the Hodan Center makes it equally unique in that it’s providing sustainable employment for adults with disabilities. Already in it’s first year, the kitchen is successful. In fact, part of a product that was outsourced from a small local pasta manufacturer made it all the way to the White House Superbowl Party earlier this year. In fact, the city of Chicago has shown interested in the project as something they may explore for their school lunch programs. It’s been such a success that Rick is developing the model and already working on opening more kitchens in other Wisconsin towns. Rick Terrien is the leader and prime motivator behind the kitchen. Rick is the first to say that he “doesn’t know jack about food”, but what he does know is business and how to launch an entrepreneurial start up. Prior to spearheading the kitchen, Rick launched two successful business that are still thriving today. One, a commercial art company that he said he worked for over 20 years while his kids were growing up, and the other, a unique innovation that recycles oil skimmed from coolant used in the manufacturing process. He holds 8 US patents and 1 international patent on the former innovation. The device that was used by all the major car manufacturers, also won him two Governor’s awards, a Fast 50 in 2004, and a National Society of Professional Engineers Award. Not bad for a company that started with only a $6k investment. I had worked with the Hodan Center from a distance through my former company and even from a distance I could see the model was not sustainable. I had the idea to check in with the center for any ideas for this inquiry and was surprised and really inspired by their efforts to continue to thrive. Enter the Wisconsin Innovation Kitchen and Rick Terrien. The first thing you will notice about Rick is his passion for this project. But even deeper than that, you will see his enthusiasm for entrepreneurship as an agent for economic development and human sustainability. I was truly inspired by his desire to help others gain independence – to control their own lives through their own economic development. “I’ve never made a lot of money, but I got to raise my kids and we’re still friends. I couldn’t have bought that for all the money in the world,” says Rick. Many recent thought leaders have argued that if we are to solve poverty, we have to develop relationships with people to help them find opportunities to thrive. And this is what Rick is doing and loving it. Many thanks Ms. Hermsen for the great writing about our Innovation Kitchen and our economic development work! Soon we will be able to do this with a growing network of collaborative facilities across state lines and food growing regions. At a recent food hub retreat hosted by Fresh Taste and Karen Lehman in Chicago a really wise thread emerged: We need to move from movements to organizations. Now. The contribution of our Wisconsin Innovation Kitchen is to run the experiments and grow the work of economic and organizational development in ways that are sustainable and grow past all of us. Business as an Agent for World Benefit. I'll be helping judge the inaugural Business Plan Competition at the University of Wisconsin Platteville next Tuesday. I was honored to be included as a business plan judge for their earlier business plan contest components. Judging for the final Business Plan competition begins at 5 PM sharp, April 5. "On Tuesday evening April 5th, UW-Platteville will host its first campus-wide “Student Business Plan Competition”. It is the culmination of a pilot year of entrepreneurship events and competitions for students. The events kicked off last March with the Extreme Entrepreneurship Tour. Since then, we have hosted a “Meet and Eat with an Entrepreneur” dinner, an Elevator Pitch contest, Business Plan workshops, and now the Business Plan competition." For further information contact the UWP's Pioneer Academic Center for Community Engagement & Entrepreneurship, below. Greetings SustainableWork readers. This is Rick's IT Director speaking. I've just gotten through signing Rick up for FeedBurner. As this is a side gig that tends to be done when I'm already tired and cross-eyed from my day job, please let me know if I've broken anything important. Feed readers - is there anything we (I) could do to make your feed reading experience better? Please leave a comment and I'll try my best to make the changes. "Prevention Works: Affordable Care Act Is Already Building Health Where You Live" March 25, 2011. Emphasis added. "The communities where we live, work, learn and play should thrive. Your family, the kids your children play with at school, the family that lives next door to you, deserve support as they strive to be healthy. Local businesses trying to prosper shouldn't be brought down by skyrocketing health costs and low productivity related to the declining health of their workforce." "Prevention is local, and involves all of us. La Crosse County Wisconsin's Farm2School program is helping Wisconsin kids eat Wisconsin food. Over 5,000 students are eating and learning how to cook locally-grown foods including cabbage, beets, wild rice, potatoes and winter squash, grown by local Wisconsin farmers, and prepared locally instead of being shipped in from California, Florida or even Chile. Local food processing facility Wisconsin Innovation Kitchen pre-processes the food to reduce labor costs in the school kitchens..."
"America could be -- should be -- a nation committed to the health of its people, not solely to the treatment and management of its sick. We want children and parents to take for granted that the places they live, work, play, and learn are going to support them in healthy eating, physical activity and living smoke-free -- not make it harder." "Prevention is making that possible today." On behalf of the Hodan Center and their wonderful Wisconsin Innovation Kitchen, many thanks for recognition! "Prevention Works: Affordable Care Act Is Already Building Health Where You Live"
Written by Larry Cohen for the Huffington Post Health. Larry is Executive Director, Prevention Institute in Oakland, CA. What do you name a hub of hubs? The hubba hubbas, of course. Thanks to my new friend Joe at HmCapital Partners in Pennsylvania for the wonderful question and answer in this post's headline. A group of emerging food hubs in the Great Lakes region met in Chicago recently. I got to meet Joe and Greg from the wonderful Republic Food Enterprise Center in Pennsylvania along with many other amazing food hub folks from all across the Great Lakes region. To me food hubs are food-based enterprises that spin off and support a greater good. It seems clear that smart hubs aggregate with others and keep experimenting to see which niches need filling, with all due accolades to Darwin. The Chicago based organization Fresh Taste hosted a recent weekend retreat for new and emerging food hubs in the Great Lakes region. The working title for the weekend was ‘Building Community Wealth Through Food Hubs’. What a valuable gathering! Links to all these new friends are below. Since this initial gathering, several new partner projects have emerged. I can’t wait to watch this grow. The Great Lakes region has historically been a great food provider. Rebuilding that capacity is strategic and critically important to 21st century regional food needs. That kind of long range planning is emerging from all kinds of interesting places. I’m honored to be hanging out with such a smart bunch! Please visit their info and links below. And welcome new friends and new projects in our wonderful Great Lakes food region. First a link to news and info from Fresh Taste in Chicago who hosted this gathering. Then links to participants. Fresh Taste. Thanks Karen and friends! Black Oaks Center for Sustainable Renewable Living. Fred and Dr J. Edible Economy Project. Terra, Marty and Elaine. How effective startups build business models. Creating reality based business plans. Among working entrepreneurs there is shared understanding that almost no business plans survive the first customer. How can you increase the value of your business plans? What are the key questions you must know for lenders, investors, and most importantly, yourself? Effective business plans are based on reality not guess work. It is important that business plans include as much actual data as you can develop. This discussion will consider action steps new entrepreneurs can do to create the knowledge base they need to create a strategy that works in the marketplace. • What problems do you fix? • Why will customers pay you? • Why will customers return? • What don’t you know about your actual costs? Where to look? • How many vendor options do you have? • How many potential customers do you need on your list before proceeding? What’s the most valuable way to present your information to investors? Link to the State Journal article. There will be a social time beginning at 5:30 and the meeting will begin at 6 PM. The location is at the Stonefield Apartments, 851 407 E. Madison St., Dodgeville WI. The event is free to the public. Networking among attendees will be encouraged in the evening's program. "Our goal is to grow our network of entrepreneurs, small businesses, innovators and those that support them in the Iowa County area", said Rick Terrien, Executive Director of ICAEDC. The Iowa County Area Entrepreneurs Club is an informational forum where entrepreneurs, inventors, existing businesses, new businesses and people thinking about starting their own businesses can come together to encourage each other and share challenges and opportunities. The group meets on a monthly basis, usually the fourth Wednesday of the month. 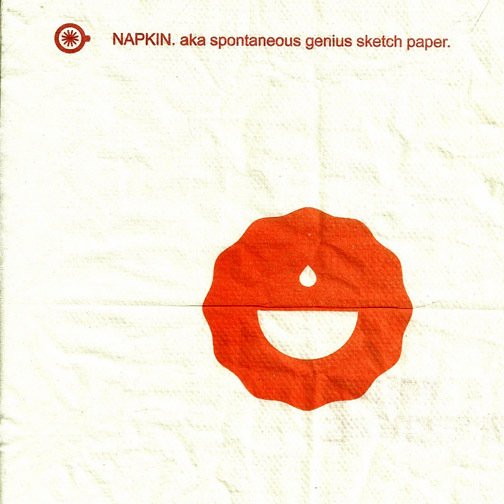 Napkin is from Seattle's Best Coffee, who operated a store inside the Borders book store on Madison's west side. This was a great bookstore with wonderful employees that we will miss. I've just met new friends at the University of Wisconsin Law and Entrepreneurship Clinic. This is a unique and valuable resource with a goal of successful entrepreneurship that offers a specific professional capacity in entrepreneurship law. This piece of the fight is especially fraught with danger and knowing these good folks are out there, in the game, is encouraging and energizing. High end entrepreneurship law is a vital piece to entrepreneurial economies but this capacity is usually out of reach to most entrepreneurs. The fact that our Wisconsin Law and Entrepreneurship Clinic is based in our amazing new Wisconsin Institutes for Discovery is very cool. Their location in the Town Center of this facility means they are sitting at the focal point of life sciences research and technology transfer in Wisconsin, the region and the world. Our L&E Clinic is putting the 'Wisconsin Idea' into action. That is the goal of supporting education and development beyond the classroom to all areas and applied to all parts of the economy in our state and beyond. This includes food and agriculture, a $59 billion dollar industry in Wisconsin. I believe our amazing Wisconsin Innovation Kitchen platform, and now our new network of food facilities, the Food Action Alliance, can produce great new food entrepreneurs, innovative new businesses and many new jobs in Wisconsin with the kind of resources our L&E Clinic provides. "Entrepreneurship plays a significant role in turning an invention or idea into a flourishing business. Yet the obstacles to starting or expanding a business often appear daunting. What form should the business take? What’s the best way to move an idea out of a garage, dorm room or lab and into private space for commercial development? What financing options exist? The University of Wisconsin Law School’s Law & Entrepreneurship Clinic provides free legal help to answer these and other questions. Working with the Wisconsin Institutes for Discovery, Wisconsin Alumni Research Foundation and more than a dozen of Wisconsin’s leading law firms, the Law & Entrepreneurship Clinic helps entrepreneurs and small business owners realize their potential. Now located in the Town Center at the Wisconsin Institutes for Discovery, the Law & Entrepreneurship Clinic offers easy access for personal appointments as well as online consultation." Great stuff. The UW L&E Clinic is a powerful resource for those enterprises needing higher end entrepreneurship law guidance. There are many other local and regional economic development and business support groups offering entry-level help to new entrepreneurs. However, for emerging enterprises that can get to launch speed, oh my gosh, our UW L&E Clinic is a great opportunity. Thanks to UW Law and the Wisconsin Institutes for Discovery for making this great resource available. UW Law and Entrepreneurship Clinic. Thanks Eric Englund and friends! I've met a new friend who helped direct the Sacramento (CA) Entrepreneurship Academy (SEA). In learning more about this program I'm just lit up about the possibilities this kind of approach to entrepreneurship could mean to food, agriculture and rural communities worldwide. We've been building our Wisconsin Innovation Kitchen business model to be a platform for experimenting in food business innovation and entrepreneurship. The SEA format focuses on college students but the same process could readily be applied to support food and farm entrepreneurs. * ongoing educational programs and networking opportunities after graduation"
My new friend contributed to SEA as a Board member and Curriculum Director. Thanks Kurt for introducing me to this wonderful work and I look forward to learning more. Program and curriculum at the Sacramento Entrepreneurship Academy. The following is borrowed from a column posted at Madison's Isthmus Newspaper's online version called 'The Daily Page'. Sweet potatoes and dill tomatoes. "Mary and Don Uselman's dehydrated sweet potatoes might be the market's most unique new product. The carrot-colored, candy-sweet disks come in four-ounce bags. You can nibble on them out of your hand if you like, but they're not chips — they're denser and chewier. Mary Uselman suggests adding them to stews and soups. The Uselmans' new line of pickled and canned goods (processed at the Wisconsin Innovation Kitchen, a new shared commercial-food-processing facility in Mineral Point) includes catsup, tomato sauce and bread-and-butter pickles. Not to be missed are their dill tomatoes — small, garlic-seasoned green tomato wedges that are as sassy as a Marcia Ball honky-tonk tune." Wow. Ms. Allen writes about local foods with the language license of a sports writer. Local foods needs more of that! Thanks Isthmus and their Daily Page. What's most important beyond all this fun is the emerging business models that are getting proven out. Local farms and food enterprises that were wise enough to experiment with us in 2010, the year we opened, are returning with new orders and new innovative food products. That's the thing to celebrate. A new platform and new business models are emerging to help local foods and regional food systems become more profitable. It is vitally relevant that people who experimented with food processing at the Innovation Kitchen made money, advanced their enterprises, and are coming back and continuing to innovate. This is the most important Innovation Kitchen metric of all right now. It's a great place to start or grow a food enterprise. Join us. New businesses. New jobs. "Garlic-seasoned green tomato wedges that are as sassy as a Marcia Ball honky-tonk tune." Almost like we planned it. 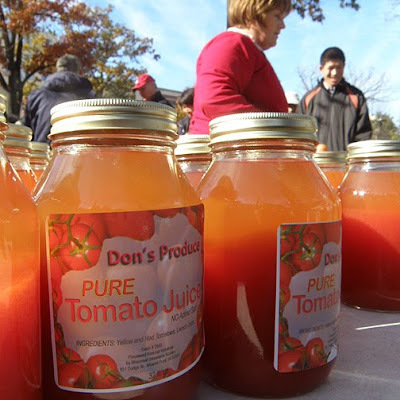 Forward local foods! Isthmus Daily Page article. New items from the winter Dane County Farmers' Market. Sweet potatoes and dill tomatoes from the Wisconsin Innovation Kitchen. 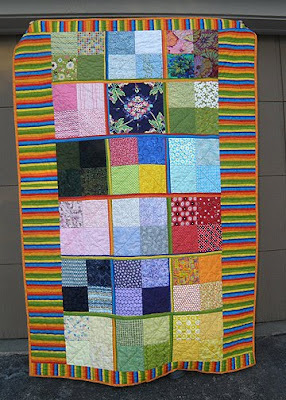 Article written by Terese Allen. Don's Produce write up at L'Etoile. That's our friend Mary in the photo above. 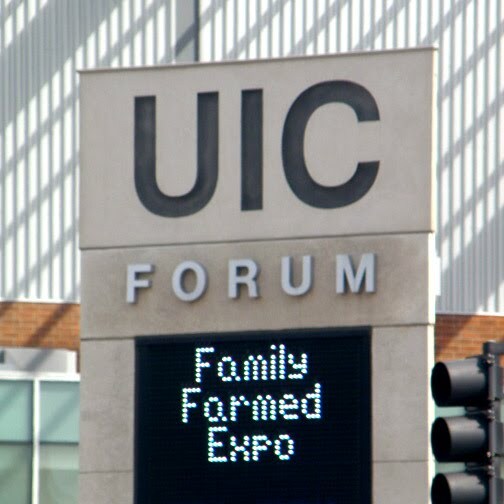 Join us at Family Farmed Expo March 17 -19 in Chicago! Building Social Enterprises. What a wonderful event this year's Family Farmed Expo in Chicago looks to be. The panel I'll be joining is titled, 'Building Social Enterprises'. Our group will be moderated by Zina Murray of the Logan Square Kitchen (good luck, Zina!). Our panel includes a cool new friend I worked with last weekend, Orrin Williams, Executive Director of the Center for Urban Transformation, and Dennis Ryan from the Experimental Station, an org on Chicago's South Side I'm just getting introduced to. Great work from all! I'm going to talk about our Innovation Kitchen and the emerging Food Action Alliance we're helping launch. I am very much looking forward to presenting these experiments under the banner of building social enterprises. 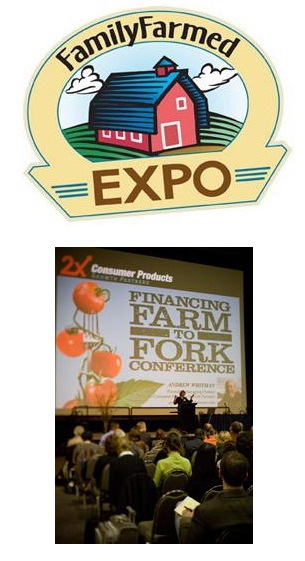 Will Allen of Growing Power fame and Gary Hirshberg from Stonyfield Farm will keynote. Can't wait. "Thursday features our world-class Financing Farm to Fork conference supporting the local food movement by encouraging investment in farm and food production, processing and distribution businesses." "Friday features the Midwest’s leading local food trade show, a major school food track, our Meet the Buyers reception, an innovative Food Policy Summit, and the scrumptious Localicious Party to cap the day." "Saturday features cooking demos from celebrity chefs, educational workshops, Sally Fallon and an interactive Kids Corner." Organizations like the Wisconsin Innovation Kitchen that support people with disabilities work at some of the toughest and most troubled margins of our economy. The work of the Innovation Kitchen is creating some of the hardest jobs to make in this economic environment. The Innovation Kitchen is doing it by helping local foods grow into new opportunities and new markets. Local foods organizations emerging nationwide can incorporate this talented and professional workforce to enhance their own efforts. They can grow their organizations while helping grow jobs for vulnerable people who really need them right now. I'm watching it work at the Innovation Kitchen. I can't wait to talk about our experiments in building social enterprises at the FamilyFarmed Expo on March 17 in Chicago! Center For Urban Transformation. Orrin Williams and friends. Founding principals and philosophy: "sustainable urban community and economic development." Experimental Station. Dennis Ryan and friends. Creating and supporting "innovative cultural, educational, and environmental projects and small-scale enterprises." Logan Square Kitchen. Zina Murray and friends. "As a greenhouse for little businesses, we give culinary talent a place to develop."